I agree. The new link download for SP19 for MAC seems to be running a bit more smoother and less laggy. Thanks! Update. The new link download for SP19 for MAC seems to be running a bit more smoother and less laggy. Thanks! Just wanted to report: EScribe Suite 2.0 SP19 also lags like SP18 on Mac. No matter what DNA250C mod I use. Device manager runs really slow on graphing and lags inputs on clicks. SP17 still runs smooth all around with no lags. No idea what was changed in 18 but that has caused big lagging on Mac software. Asking... I saw a link for it on another third party group saying it's out. But didn't see anything officially here. So I was just wondering if its in final stages? Thanks! SP19 will be out soon officially? 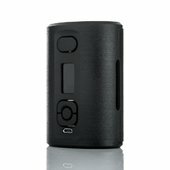 @James No matter what device I use DNA250C Triade or the Boxer Mod DNA250C triple. Both on SP35 1.1 INT. SP18 Device monitor runs really laggy and slow. Once I downgrade to SP17 Escribe device monitor runs as usual. Any idea why? Update to my review: Love the new updates. You read my mind. 3.2 is solid now I can finally see all the options battery cells, preheat..etc.. with just the default theme which I've always loved but now with your edit its perfect! Keep it up JMatt. Issue report: Updated to EScribe Suite 2.0 SP18. Noticed when using Device Monitor in EScribe it really lags and hangs a bit. Reverted back to EScribe Suite 2.0 SP17 and Device Monitor is working smoothly again. Could this be only a issue to me? Anyone else notice this? Thanks Edit: I'm on MacOS High Sierra. Nice theme! Always liked the default theme just wanted all the hidden options in the theme rather than loading escribe and editing those settings. Good to see this keeps everything transparent! Keep up the good work! James, other than the fix. Any other updates done to improve the firmware? You can't No worries man. The new firmware will be available very soon! Hey guys, Been testing the Alpha/Beta version for a few days now. So far all my devices with the firmware in testing has woke up right away! I can safely say Evolv came through and was correct. It was a firmware issue! Any final ETA when the new firmware will be out? Someone said couple of days a couple days ago lol. 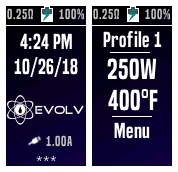 Thanks Evolv. Keep up the good work!